Opinion Work Product: "Back in your old neighborhood, the cigarettes taste so good": new albums from The Strokes, Neko Case, Secret Machines, etc. "Back in your old neighborhood, the cigarettes taste so good": new albums from The Strokes, Neko Case, Secret Machines, etc. Ryan Adams "29": one song for each of his years in his third decade of life. Building and developing and screwed up, just like him, and equally great. Voices and Carolina Rain and Night Birds are especially strong. The Strokes new "First Impressions of Earth": not as good as "Is This It." But what is? Already talked about Cat Power's "The Greatest." More listenable than her usual. Mark Knopfler (of the Dire Straits) collaborates with Emmylou Harris on the new "All the Roadrunning." Some good, some not so much. All with Knopfler's cinematic scoring sensibilities (he did "The Princess Bride") and boogy-ing guitar, and Emmylou's wailing. Franz Ferdinand's "You Could Have It So Much Better": just got around to listening to this album from last year. Very good. Why is their eponymous album still getting so much play when this sophomore effort is even better? Can we stop playing Take Me Out every day now please? I don't think I'll ever love The Secret Machines as much as when I heard their opener off of "Now Here is Nowhere," First Wave Intact, live in DC. Its locked-in drum and urgent launchpad-like guitar grunts made everything disappear almost as effectively as the opening dissonant clockwork on Interpol's "Antics," untitled. Their new album, "Ten Silver Drops," is a great blend of psychadelic pop and power pop. We'll see after I've listened to it more. Neko Case, of the New Pornographers, has another new solo album, "Fox Confessor Brings the Flood." It's as good as everything before it. Why would you not listen to this right now? I think Neko is Patsy Cline and Johnny Cash's illegitimate love child; she is like Patsy singing a Cash murder ballad. She is like Marcia Ball with reverb and a slide guitar. Has red hair ever found expression in a wail so perfectly before? Built to Spill's "You in Reverse": It has a cover of Neil Young's "Cortez the Killer"---and it's better than the original. Great album from the originators of indie. 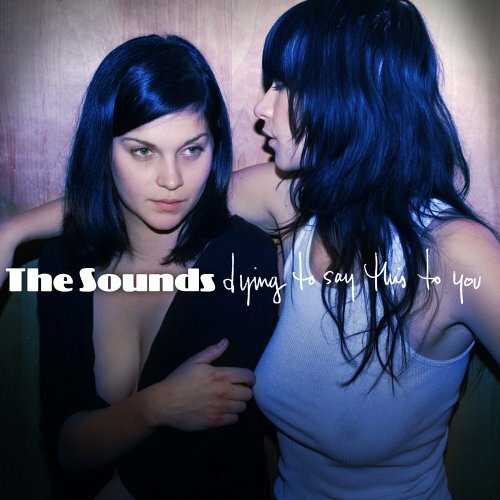 The Sounds new album, "dying to say this to you," may not be the best recent release, but it certainly has the best cover. If you think Sahara Hotnights, another Swedish punk/new-wave get-up, was a good idea, you might dig this. Also see The Gossip's new effort, "Standing in the Way of Control." This album is for those who want to turn the female-vocal sexymeter up to 11.